There's a lot of discussions going on all over the country at the moment on the topic of alcohol licensing laws, and whether the Majlis al Shura are going to vote in favour of banning alcohol outright, or at the very least further restricting it. Oman's income is largely from oil and gas exports, about 82% of it's 2014 budget revenues are from O&G. This means 18% of Oman's revenues come from other sources, of which Tourism is a growing segment of this %. That's the income side of things, but what people seem to easily forget is the number of jobs in the tourism sector is significant and growing as Oman has more tourism related businesses opening - there are approximately 40,000 direct jobs in Oman's tourism industry before you count the support industry jobs too. The lions share of Oman's tourists are visiting from other GCC countries. Given that the UAE just tightened it's visa-run rules, I imagine this number will drop slightly as there won't be quite so many people running around the flag pole at Hatta anymore. But still - Oman's far and away biggest market is it's neighbours and those resident in those countries. That does not mean Arabs, nor does it explicitly mean Muslims, it could be a British person who lives in Qatar who's come for a visit - or it could be a Kuwaiti person. I don't understand how 5.39% of tourists can be Omani, unless these numbers are based on traffic through borders and not specifically tourist visa's. Anyway, my point is that a large chunk of Oman's tourists come from parts of the world where alcohol is not restricted - I'm not commenting that there's no Muslims in Europe, or that there's only Muslims in Asia - I'm just working with generalizations here. People like to have a drink. In fact if you check this document which details 4 and 5 star hotels guests for 2014 up until September, you can see that Omani's represent nearly 30% of 4 and 5 star hotel guests. Europe/North America/Oceania represent about 37% of guests. 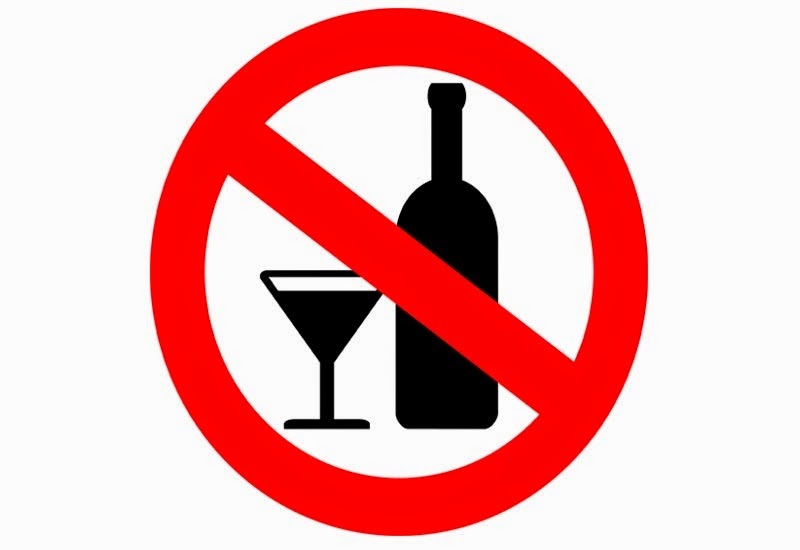 If Oman votes to stop allowing its own people to consume alcohol, I suspect you'll see this 30% of 4 & 5 star hotel guests drop - by how much I don't know - but I think you'll see it drop. Along with that, it's fairly safe to assume that a very large majority of the 37% of "Western" tourists may not visit either. If Oman were to ban alcohol it would be seriously jeopardizing it's tourism revenues for one, but perhaps more importantly, the 40,000 jobs of those in the hospitality sector, which is heavily Omanized. It's that simple. Given these tough economic times, and persistent rumours that are going around town that the wholesale price of gas to industrial consumers (eg power & water plants, smelters and cement producers) is doubling to $3 per MMBTU, it only shows how much pressure Oman has on it's finances right now. We're likely going to see our electricity, water and sewage (because it's calculated as a ratio of water costs) bills rise as a result of this gas price increase next year. And that's before we even look at the price of petrol at the pump. Does Oman really want to walk the gauntlet of budget deficits, public unhappiness at increased costs of living and the inevitable shedding of Omani jobs in the hospitality sector? Even restricting Omani's from it is going to have a significant impact on revenues at hotels, and by extension, the tourism sector. You only have to look at tourism income, inward investment, expat diversity and global standing in the world's dry nations to realise that it's not a good idea for a country urgently trying to diversify out of oil & gas. It might massively help Omanisation but it would set the nation back decades. I don't see any rational for drying up the country unless there is some sort of pressure being built from Saudi Arabia? Looks funny, yeah but recent development in Oil prices and Saudi being the leader of OPEC countries, Oman cannot survive with Oil being around 70$, there are already talks that Saudi might offer some financial assistance to 9 small producers of OPEC and Oman is one of them; maybe I'm wrong, but Saudi pressure might be a reason for outright ban on the thing. Alcohol is taxed at 100% at the point of entry, generating direct revenue for the government. Then sold in off-sales, 3, 4 and 5 star establishments for a healthy mark up and licence tax for the offsales (5%? ), which hopefully earns profit for the outlets and agencies concerned, who then (hopefully) pay corporation taxes whilst contributing to covering the ever increasing salaries of the local employees. If Oman becomes more like other dry nations, the expats currently relied upon might well choose to ply their trade elsewhere, reducing expertise and training for the local populace to learn from, deskilling the workplace or result in foreign expertise requiring bigger rewards to be tempted here, resulting in higher costs, which then affect the local population. I appreciate the long term goal is to reduce the reliance on the hired help from afar, but it has only been 44 years from a what was effectively a standing start so it's not a short term fix. Besides which, is it not already the case of being against the law for Omanis to consume/purchase alcohol, just not enforced ?? Tourists travel to Oman for various reasons...partying and drinking alcohol is definitely not one of them. So really don't think tourist numbers will decline if it becomes a dry country. They will just accept it as part of the culture and still enjoy their diving, rock-climbing, desert camping, offroading or family reunion holiday..
"Now I wouldn't be surprised to see the number of British expats declining cause we all know the importance of alcohol to them"
Get your head out of your arse. Have you actually been out to any of the bars in this country? Well over 50% of the punters are locals! Yes it is important to us Brits but there is also a large contingent of Omani's that like to take a load off at the end of the week and enjoy a nice cold one. How exactly does one 'walk the gauntlet'?? The comment about British expats made me chuckle. UAE tightening Visa run rules? How does it affect us in Oman? Petrus because it'd affect the statistics of who enters the Sultanate on a visit visa. It's amazing how people can't handle not having alcohol!! It's not like your body needs it like oxygen for example. I always find that very amusing. I'm a British expat. I don't drink. Please don't tarnish us all with the same brush. Each to their own! Just for fun you understand, we could have a sweepstake on which hotel will be the first to be boarded up? This idea of a ban is as sensible as when they increased alcohol tax by another 100%. Sales plummeted and the net tax income was reduced. That law was repealed pretty quick! It's definitely true that tourists don't come to Oman for a boozy holiday. That said, given the expense of holidaying here those that do come may well expect to enjoy a bottle of wine with their overpriced dinner. Withdraw that option and the tourists will likely take their business to an equally expensive, equally beautiful but slightly more liberal destination. I don't think they are serious. It's a tactic to gradually elevate import taxes on liquor and tobacco products and fees on Shisha license. I think another big point is the global (albeit Western) perception of Oman. Removing alcohol as an option gives future tourists the perspective that Oman is a very conservative country. That perception is very real (ie, I don't see Kuwait or KSA on the New York Times 50 Places to Visit in 2015, while Oman is). Even for those who don't drink, they may worry that Oman is too conservative to enjoy a family vacation.